Home » Health » What Is Bone Cancer? Bone cancer is a type of cancer that attacks bones. This disease can be infected by children to adults. Bone cancer is divided into two, namely primary and secondary bone cancer. Named primary bone cancer when the cancer occurs and develops directly within the bone. While secondary bone cancer is a cancer that comes from other body parts that spread to the bones. The entire bone in the body can be attacked by this disease, but mostly occurs in the bones of the legs and arms. Pain. A person with bone cancer will feel pain in the area of ​​the bone that is attacked, and the pain will increase as you move. Pain will usually be felt continuously until the night. Swelling. The area around the bone affected by cancer will experience swelling and reddish color. If swelling occurs in the bone close to the joint, then the movement will become difficult and limited. Brittle bones. Bone cancer causes bones to become weak or fragile. Even if it is severe, a mild fall or a small injury alone can make the bone broken. In addition, there are also some other symptoms, such as numbness and numbness when cancer in the spine suppresses innervation, bumps appear on the bones, the body feels tired, weight loss, fever above 38 ° C, and sweating especially at night . In adults, symptoms of bone pain are sometimes mistaken for arthritis . In children and adolescents, it is sometimes misinterpreted as a side effect of bone growth. Should see a doctor if you or your child constantly feel pain in the bone or the pain gradually worsens. The exact cause of bone cancer is unknown, but this condition is thought to be caused by changes or mutations in the DNA structure of cell growth controls that keep it growing out of control. The buildup of these cells then forms a tumor that can attack nearby bone structures or even spread to other body parts. Here are some factors that allegedly can increase a person's risk of developing bone cancer. Exposure to high radiation from a treatment that had experienced the patient, such as radiotherapy. Suffered from Li-Fraumeni syndrome, a rare genetic condition. Paget disease, which is a condition that can cause weakening of bone. Having an umbilitic hernia disease from birth. Osteosarcoma. This bone cancer develops at the end of long bones in the bone that is actively growing. This type usually attacks the shins, thighs, and arms. Osteosarcoma can be afflicted by anyone, but the most common are young adolescents and adolescents who are just stepping on adulthood, ie the range of 10-19 years. Chondrosarcoma. This bone cancer develops in the cartilage cells that normally attack the femur, hip bone, ribs, shoulder blades, or upper arm bone. Chondrosarcoma commonly diidap by people aged over 40 years. Ewingâ € ™ s sarcoma . This bone cancer develops in the immature nervous tissue of the bone marrow. This type usually attacks the femur, shins, and pelvis. Ewingâ € ™ s sarcoma is more commonly adolescent boys than adults, ie, at the age of 4-15 years. 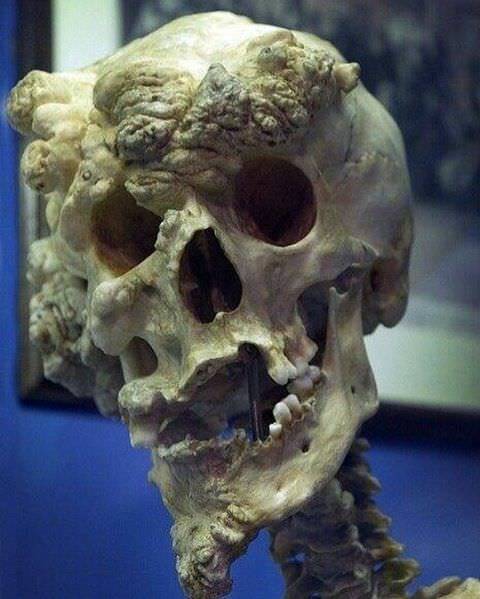 Giant Cell Tumors in Bone. Although most of these types of tumors are benign, some can be malignant and commonly invade bones in the legs (near the knee). These tumors rarely metastasize to other distant parts of the body, but often reappear despite surgery. Chordoma. This bone cancer often appears at the base of the skull bone or on the spine. It usually affects people over the age of 30, and men are twice as vulnerable as women. Stage 1B: tumor measuring> 8 cm, or if there is more than one tumor in the same bone. Stage 2B: tumor measuring> 8 cm. Stage 3. At this stage the cancer has begun to spread to more than one area of ​​the same bone. Stage 4B: The tumor has spread to the lymph nodes around and or spread to other organs other than the lungs. Determination of the severity of bone cancer can be done through the process of diagnosis. This is useful in helping doctors to provide the right treatment. Biopsy. In addition to detecting the type of bone cancer suffered, this test can also determine the severity and spread of the disease if any. Biopsy is done by taking a little sample of bone for further investigation in the laboratory. This test is considered as the most accurate way to diagnose bone cancer. X-ray. Through this test can be known whether the bone damage experienced by patients caused by cancer or other conditions (eg fractures). In addition to bone damage, unusual bone growth due to cancer can also be detected through X-rays . Bone scan. This test is done by injecting some radioactive material into the veins. The material will be absorbed by the bone. Usually bone is problematic or abnormal will be faster absorption of radioactive material than normal bone. Information about bone obtained through bone scan is usually more detailed than those obtained through X-rays. MRI scan. Through this method, the severity of cancer spread in the bone can be known. With the help of radio waves and magnetic fields, MRI scans can produce bone and soft tissue images in more detail. CT scan . This check is done to find out if bone cancer has spread, for example to the lungs. Scanning using this X-ray circuit and computer help can produce detailed body parts images in three dimensions. Treatment options for bone cancer depend on the severity of the cancer, the location of the cancer, and even the type of cancer itself. The primary treatment of bone cancer is usually done through surgery combined with other treatments, such as chemotherapy and radiotherapy. Bone removal surgery. This procedure is usually performed if the cancer has not spread beyond the bone. Parts of bones or joints that are infected with cancer generally can still be reconstructed or replaced with bone or artificial joints although not infrequently also amputation steps should still be done. Surgical removal is also applicable if new cancer spreads to tissues around the bone, for example in the knee joint. Amputation. Amputation is usually performed if the cancer is not successfully treated by surgical removal of the bone or if bone cancer has spread, such as to the nerves, blood vessels, and skin. Amputation may also be necessary in the event of a postoperative infection of bone removal. Patients who have to go through the amputation procedure will use artificial limbs to replace the raised limbs. Patients will go through the rehabilitation stage to restore the function of organs in the limbs raised through various types of therapy, one of which is physiotherapy. Chemotherapy is a cancer treatment method that involves administering a number of medicines. In bone cancer, these drugs are infused into the blood vessels through an IV. In the case of bone cancer, chemotherapy is usually performed before surgery with the aim of shrinking the cancer to avoid amputation. Generally, this procedure is performed after surgery to prevent cancer from reappearing. In addition, chemotherapy can also be combined with radiotherapy to be given to patients with Ewing's sarcoma before undergoing surgery. This method is called chemo radiation . If a bone cancer patient can no longer be treated in any way, chemotherapy is usually given in order to slow the symptoms. The timing of chemotherapy is usually divided into several cycles, each cycle consisting of several days. The number of cycles required by people with bone cancer varies, depending on the type and severity of the illness they develop. Each chemotherapy cycle is usually separated by a few weeks' gap. The purpose of giving this time lag is that the patient can recover from the effects of chemotherapy. Some of the side effects of chemotherapy are hair loss, fatigue, thrush, diarrhea, nausea and vomiting, and weakening of the immune system. Usually these side effects will disappear after chemotherapy treatment ends. Another side effect to consider is the effect of chemotherapy on the fertility level of the patient. Mifamurtide is an immune system stimulant drug, specifically a white cell called macrophages that are responsible for killing cancer cells. The drug is administered by injection into a vein for a treatment period of 12-24 weeks, depending on the patient's condition. The use of mifamurtide in pregnant and lactating female patients should be supervised by a doctor. Sexually active patients should be accompanied by use of contraceptives, Discuss each method of treatment with a physician before deciding to do so. Mifamurtide is a method of treating osteosarcoma bone cancer that can be combined also with the medications already mentioned here, ie chemotherapy. In addition to bone cancer patients who have high osteosarcoma, mifamurtide is usually given after surgery. Some of the side effects of mifamurtide are dizziness, nausea, nausea, diarrhea, loss of appetite, and fatigue. The method of radiotherapy is done by using radiation jets to destroy cancer cells. In cases of bone cancer, radiotherapy may be used before or after surgery. This method can also be done to slow the symptoms of bone cancer in patients who can no longer be treated in any way. Radiotherapy is usually done as many as five sessions a week. Each session usually lasts a few minutes. Just like chemotherapy, radiotherapy also has side effects. Some of them are fatigue, hair loss, joint pain , nausea, irritation and redness of the skin. Generally these side effects will disappear after radiotherapy treatment ends. Bone cancers that have not spread to other organs or that are still localized are easier to treat than bone cancer that has spread or metastasized. This factor will later affect the chances of the patient to recover. According to a study in the UK, a person diagnosed with localized osteosarcoma is estimated to have a 60 percent chance of survival for at least the next 5 years, compared to those diagnosed with osteosarcoma metastases that are only 25 percent probable. As for the case of Ewingâ diagnosed sarcoma bone cancer, patients with localized conditions are estimated to have a 70 percent chance of survival for at least the next five years compared to those with a 30 percent chance of metastasis. Just as localized osteosarcoma , most of Ewingâ localized sarcoma sufferers also recover from their illness. In addition to the extent of the spread, how severe the tissue of cells affected by cancer can also affect the chances of the patient to recover. According to the study, the chances of living with chondrosarcoma low- stroke bone cancer patients with high stage for at least 5 years ahead is 80 percent to 30 percent. 1 Response to "What Is Bone Cancer?" I'd just like to say, I believe that picture of a replica of joseph merrick's skull. He did not have bone cancer. Many believe he had neurofibromatosis or proteus syndrome, both are genetic conditions. He showed symptoms as a toddler and lived to be 27 or 28, only dying after the weight of his head broke his neck.